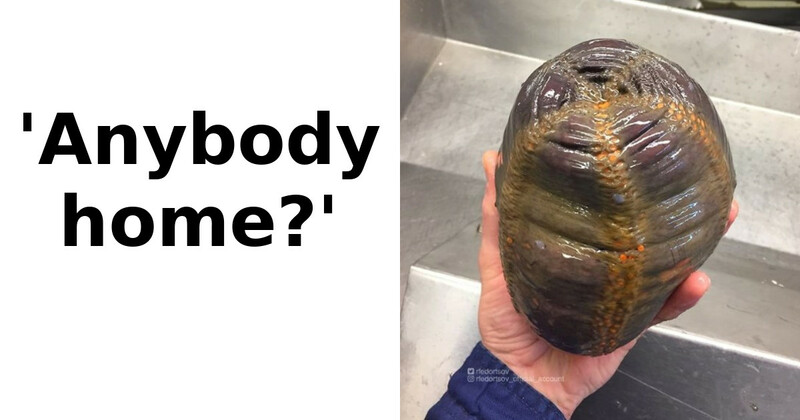 Roman Fedortsov is a 39-year-old Russian fisherman who became famous after he decided to show everyone the weird creatures from deep sea he finds. He created a few social media accounts and the content he posts is so terrifying sometimes that some users have begged him to stop! He is from the Russian town of Murmansk which has a huge port. Roman has been working on trawlers since he was 22. He graduated from the Marine University where he studied subjects in close relation to fishing technology. One of his current jobs is at a fish factory is preparing the fish for freezing after which it is delivered to the customers. He says that he has never been scared of a catch in his entire life. The strange specimens he has seen in his career so far always fascinated him and sparked his curiosity. 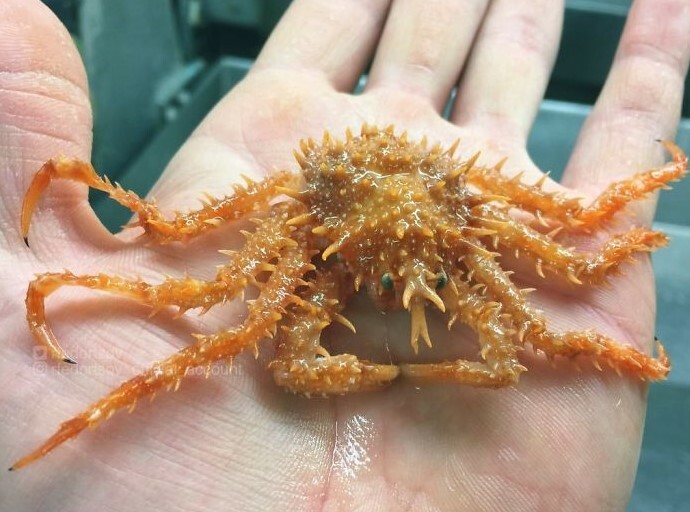 This was one of the reasons he decided to set up the social media accounts and show everyone the creatures lurking in the depths of the ocean. Most specimens were caught in Norwegian and Barents seas but there are also some that were caught in the Atlantic Ocean. We need to warn you that some of the creatures on the list are really horrible so if you are not into monsters you better sit down before scrolling through the list. One thing is for sure – the specimens shown are really fascinating and they are like nothing we have seen before! This is the perfect photo to kick off the list because it definitely gives you the right idea about what to expect from the following images. 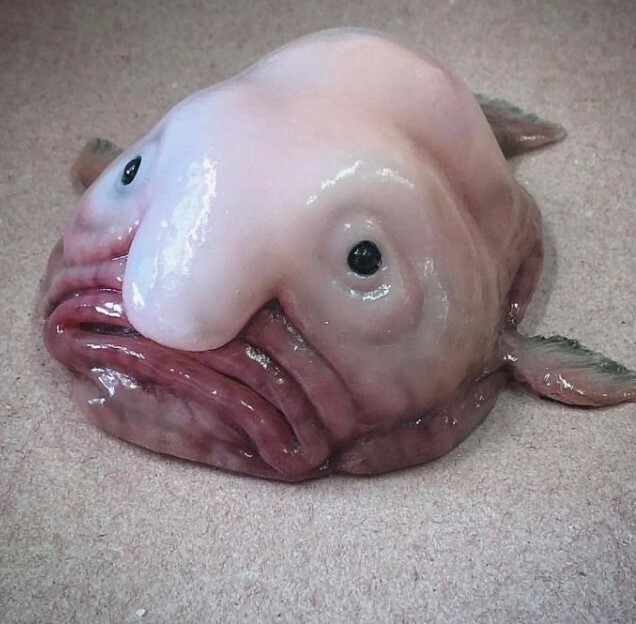 This fish looks strange and even a bit disturbing, because something about it reminds us of a human face. This is really awkward because fish are not supposed to look like human beings! However, there is an explanation for this. The fish does not actually look like that. The reason for that squashed look is the lack of pressure on the surface. The pressure deep down is what keeps the body of this fish in the right shape. We believe that there are many other kinds that would also look entirely different if drawn out of the sea and left on the surface. 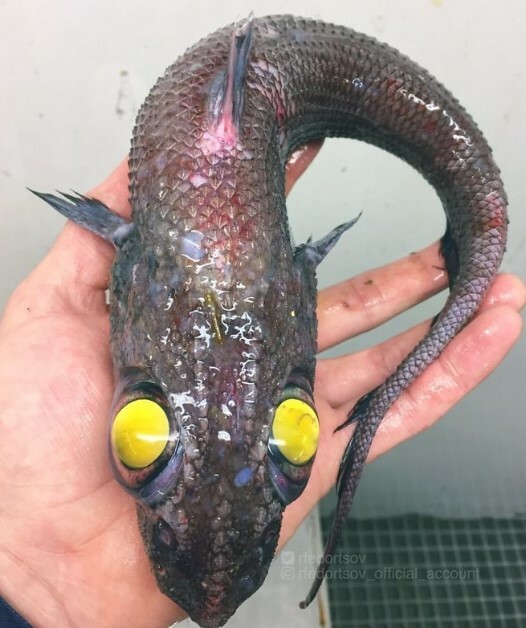 While some of the unknown specimens living deep in the ocean look more or less hideous, there are examples like this one which look as if they came from outer space rather than ocean bottom. As you can see, it has a really curved and streamlined body which kind of reminds us of an aircraft. 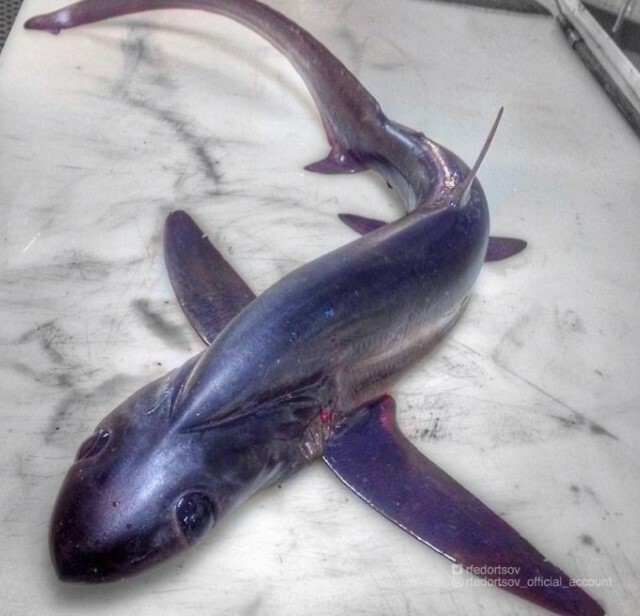 The fins look exactly like wings and the impression this creature leaves us with is amazing. We guess that it needs as less friction as possible in order to swim fast, just like the airplanes need to be as aerodynamic as possible in order to fly at extremely high speeds. We guess that this example is one of the most interesting in the whole list. 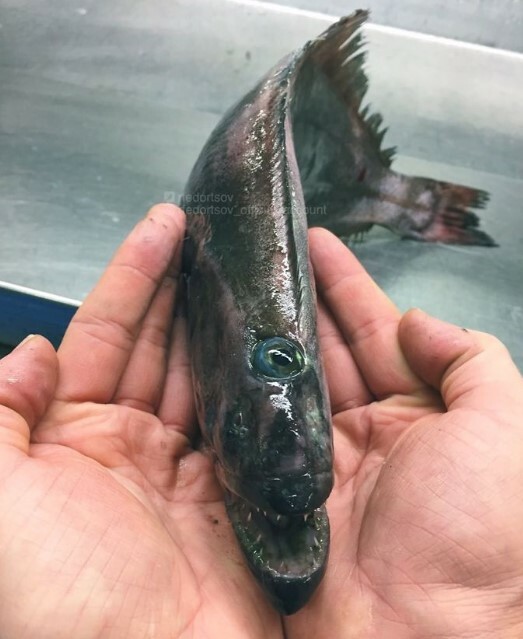 As you would expect, the majority of creatures found deep in the ocean are really weird and their appearance is like nothing we have ever seen in our lives before. This is perfectly normal, because we still haven’t explored the majority of the oceans on our planet. This means that people will probably discover new things in the oceans for centuries to come and that is a really exciting fact! We guess that we have no clue what lies beneath the surface and we are about to find out one creature at a time. The strange specimen you see here looks like it came out of a computer game but Roman assures us that it is quite real and the photo is genuine, too. We told you that there would be some terrible things on the list and this example is no exception! 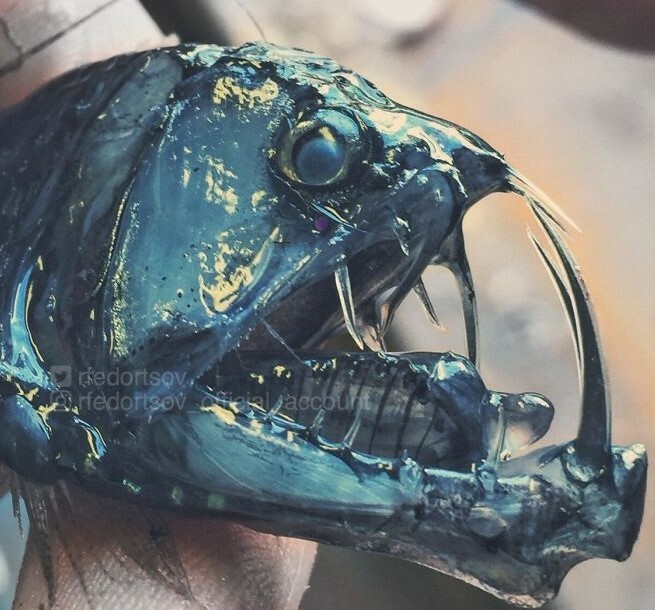 It looks like a creature that was designed for a horror movie because we thought that this is the only place where you could find such creatures. Apparently we wrong about that because this one-eyed monster is as real as they get! We hope we never have the honor of meeting one of those in person because that would be the last time we bathe in a sea or an ocean! We couldn’t miss this one because it looks so odd that is almost indescribable. How do describe this to someone? We guess that would be impossible. Part of it is really creepy especially when you consider the fact that it was a living thing. However, it also has a certain appearance that is typical for cartoons and that fact puzzles us even more! It also looks as if it features parts of different animals which exist on the surface today! And what’s up with those teeth anyway? They look like bones! If you are a diver and you consider yourself to be brave, you need to think twice! Just imagine going for a deep dive and you stumble upon this guy right in front of you. It sounds like a nightmare and we believe that it would feel exactly like one! This specimen also looks like some special effects wizards created it for a movie! The ridiculously long tongue and the spikes on the creature’s back really played tricks on our imagination and we never want to see such a thing again! Nobody would be brave enough to have an encounter with this creature underwater and think rationally. Everyone would swim away immediately! If you often have bad dreams, you better scroll down and skip checking this specimen out in details. The reason for that can be summed up in just one word – teeth! 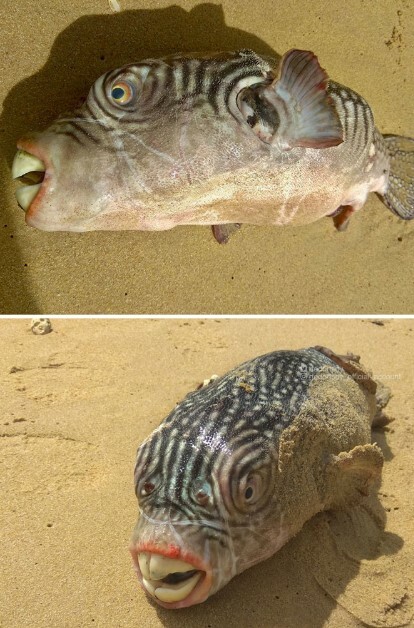 This thing has the most ridiculous teeth we have seen on a living creature! Needless to say, it must be a predator and we would hate to see it feed! We cannot believe that it actually exists in today’s world! It looks menacing and we are positive that its attitude would not be friendly at all! Perhaps nobody would argue that these strange creatures and that creepy but they are definitely weird! Just take a look at those faces! They are remarkable because of their resemblance to a human face. It is an odd thing to see but we guess that there are probably a lot more of those that we still don’t know of. 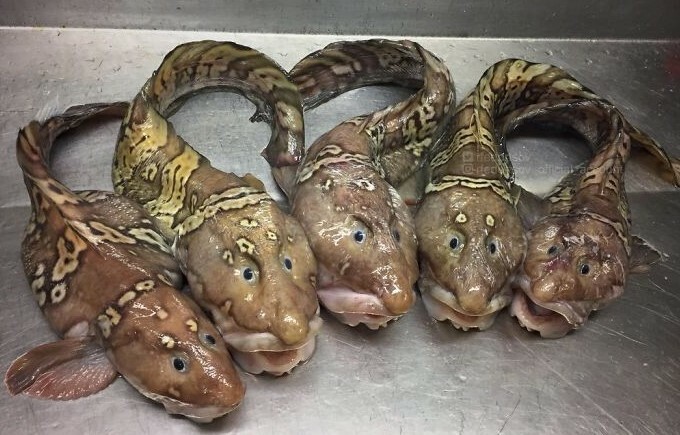 This photo is yet another proof that nobody could predict the variety of creatures that will be discovered in the years to come. Maybe a humanoid is lurking somewhere down there, too. The example you see here is among the most fascinating things we have ever seen! No wonder that we are so mesmerized by its looks – after all, it does not seem to be even remotely similar to another living organism. 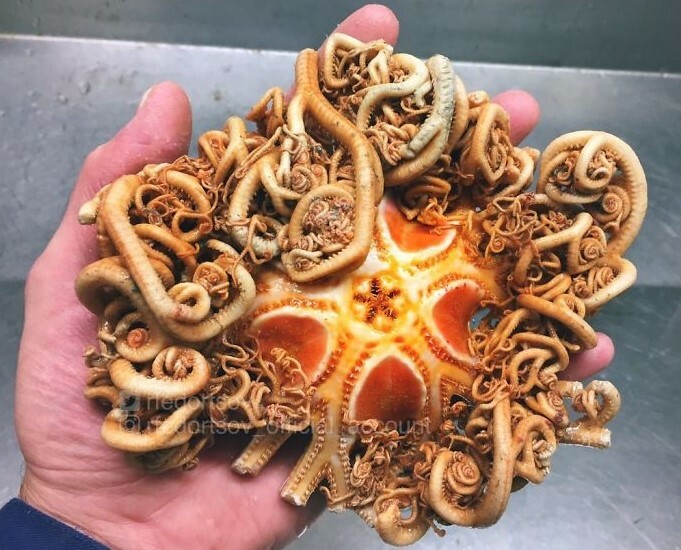 This specimen is probably typical for the sea bottom but since we still haven’t explored more than 90 percent of it we cannot be sure if there actually is something even more fabulous down there or not. Here is another contestant for the ‘weirdest thing on the list’ prize. 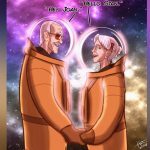 Just looking at it sparks a lot of questions! The first one is definitely the most important! Of course, we need to ask what is inside that thing, anyway, and is it soft or hard on the outside, just like a clam. It looks like a giant living rock but we know that it is not a rock at all! The looks of it sparks our imagination and we begin to wonder what’s inside of that shell. All the horror movies we know are making this extra difficult! Well, this is a nice and fresh addition to the list! After some weird and truly horrifying things on the list so far, we had to show you something different. 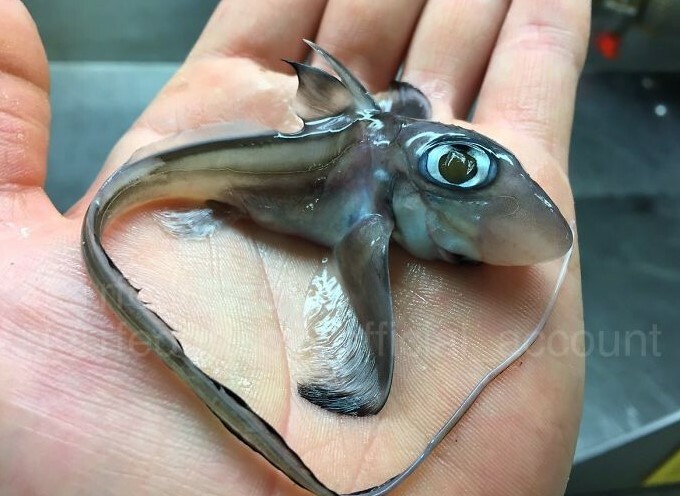 This tiny creature looks like a baby and it is a curious looking one, too. It looks like a hybrid between a fish and an eel, but it also features flaps that look as if they were made from silk! The specimen looks really gentle and we are glad there are cute creatures down there, too. We guess that finishing the list with this fish is the best approach. This curious-looking fish is actually well-known and it is also really important because of the job it does. 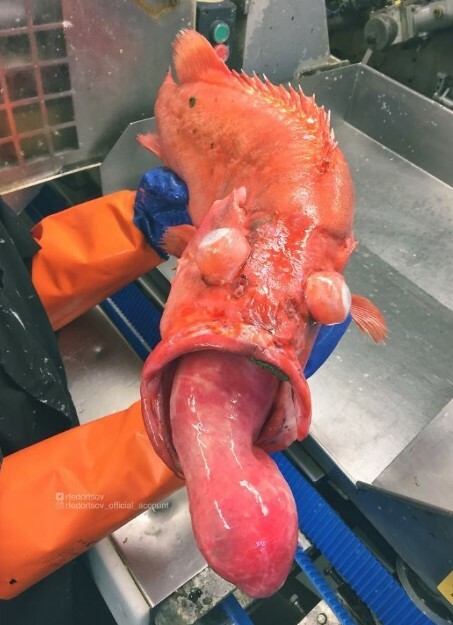 The Lumpsucker is used in salmon farms across Norway and Scotland because it actually feeds on the bacteria that might infect the salmon, thus the name of the species. 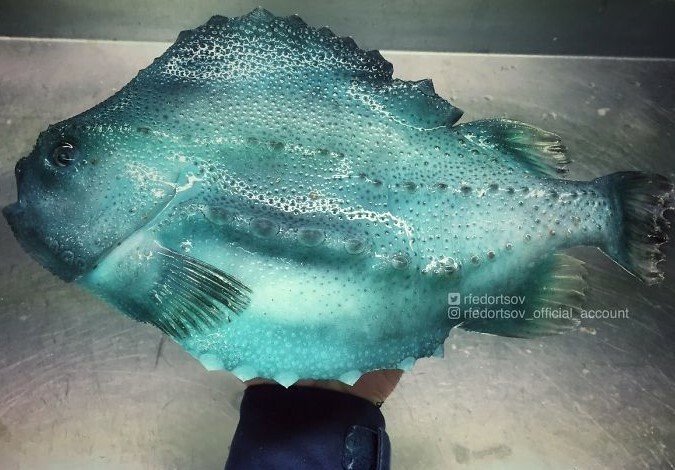 Most fishermen are probably well aware of its existence but we have never seen such fish before. We are glad that it has a specific function and helps the salmon habitat.